As I write this blog, it’s raining and in this hot summer we’re living, it’s quite refreshing. As I was staring out the window, the rain distracted or should I say inspired me to remember all the instances I’ve had a rainy wedding. 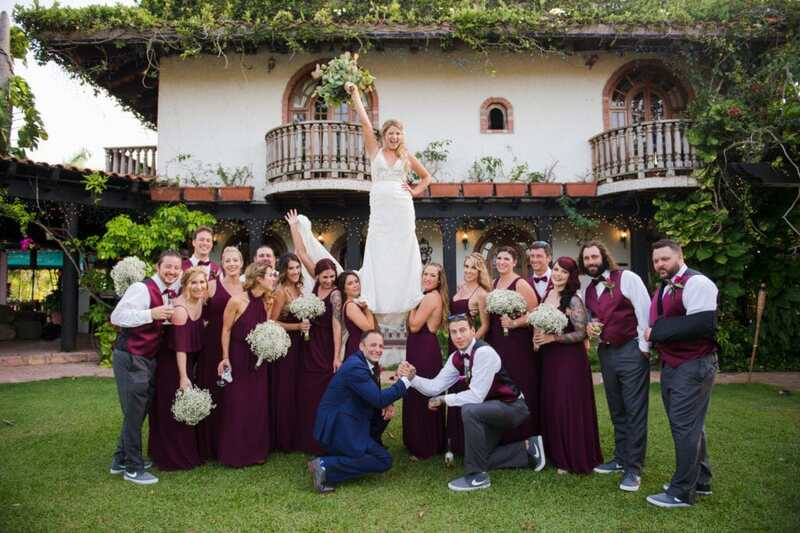 The number seems small in comparison to the non-rainy weddings, but still it is one of the biggest concerns and most frequent questions clients have when booking my services for both photo sessions or wedding photography. Needless to say, I’m ready and available for working under any conditions as long as they’re safe for both parties, and I would need more than rain to stop from capturing amazing photos. But, as with any event of such magnitude, we need to assess every wedding and evaluate how rain would affect us. In Puerto Rico, we use the words “summer and winter” more as a reference to a time of the year than a season. Living so close to the Equator, we live in a never-ending summer, temperatures don’t shift more than 15 degrees Fahrenheit throughout the year, and the biggest change we’ll see during the year is the frequency of rain. It rains all year, but we have a dry season during the first half of the year, and the wet season, which coincidentally is also the dreaded hurricane season. This is not to say that rain only happens during the wet season, or that it will rain on a wedding during this time, but only that, if you’re getting married June through December, you should pay extra attention to your rainy day plan. It started raining during Molly & Alex's first look session. I told them to stop me whenever they felt uncomfortable. They braved the rain enough so we were able to finish the session. 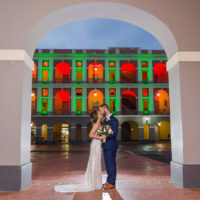 When booking your wedding venue in Puerto Rico, especially for outdoor weddings, you should ask about backup plans regarding rain. Is there an electrical generator in case electricity fails? Are walking areas paved, or will you and your guests need to walk on wet dirt/sand/lawn? Would an outdoor venue have a roofed area where you could move the event in the case of a rainy day? When does the backup plan decision happen? Who has to make that call? These are big questions, and the failure to ask them, in my experience, leads to unnecessary uncertainty for the couples on their day when the skies start turning gray. For Mariam & Andres's wedding, it rained during our only outdoors part of the day: their portraits. they held out enough time for me to make the rain work in our favor. Are your guests flexible or do they have special needs? Many of my outdoor rainy weddings end up un a big party in the rain. Guests are there to have fun, especially if they've traveled from far away to make it to your wedding. Are your guests that kind of people, or would you need to have a roofed backup plan? It didn't rain for most of Sarah & Tomás's wedding, but it did near the end. Everyone was already hot and sweaty from all the dancing, so they welcomed the rain! It ended up being a beautiful sparkler photo. Now that you have assessed the impact of rain on your wedding day, it's time to prepare, both logistically and emotionally! Consult with your venue, vendors, and planner their needs and mode of operation in case of a rainy day. Prepare the layout of your wedding in a way that it favors the tables and vendor positioning under a protected area. For example, as a photographer, I can move around to avoid my equipment from getting wet, but a DJ can't. Try to set up the DJ station in an area that will protect all their electronics. If your wedding venue does not have any roofed areas, add the rental of a canopy into your wedding budget. Some clients choose multiple venues for their wedding day, that on a sunny day, they're within walking distance, but on a rainy day, they're not. Consider the option of adding transportation to your budget. Have an umbrella station as wedding favors. Maite & Victor opted for a clear canopy. It looked gorgeous with the Serralles castle backdrop. We can control many things at a wedding, but no one can control the weather. The best of all is, no one expects you to! Weather is the element most likely to influence a wedding timeline, and as long as you've crafted a flexible timeline, it will not ruin the day. It's unlikely that rain will fall continuously for the 24 hours of your day, so I'm always positive we'll have a beautiful, meaningful day, but that's up to YOU. We'll probably have to wait a bit longer for each part, get a little wet, change the order of things, have nighttime photos instead, dance under the rain, move to different locations than expected, but the thing I can't do is take good portraits of people in a bad mood. And this goes for everything; big or small, mishaps will happen on your wedding day. They have happened on every single of the 250+ weddings I've been in so far. But you can't let weather, or anything really, ruin a day that was so carefully planned, so expensively paid, and anxiously awaited for. It really doesn't rain lemons, but we'll still make that lemonade.